If you are interested in signing up to be an Anderson WATCH D.O.G. then you have come to the right place! Please make sure that you have registered to be a Watch D.O.G. for our school and completed your CISD volunteer application before signing up here to be a Watch D.O.G. 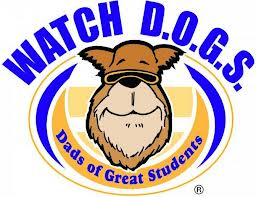 You can click the link below to visit our School's Watch D.O.G.S. page to complete these steps and find out more about our Watch D.O.G.S. program. Our Watch D.O.G.S. page will also include information about how you can purchase your Watch D.O.G.S. shirt which you will wear on days that you volunteer at our school as a Watch D.O.G. The dates that are available for WATCH Dog volunteers are on the calendar that you will find on this sign-up page. I have created each volunteer slot as a full day 7:30 to 3:30; however, the schedule is flexible because I know you guys can’t always take a full day off of work. If you can only volunteer for 1/2 day or even a couple of hours just sign up like normal and then either email me or there is a spot when you sign up for a day where you can let me know Half Day for either AM or PM depending upon whether you would like to come in the morning or the afternoon. If you have any issues or questions that come up related to signing up to be a Watch Dog please do not hesitate to contact me. Thank you for making a difference in the lives of our Anderson students! !